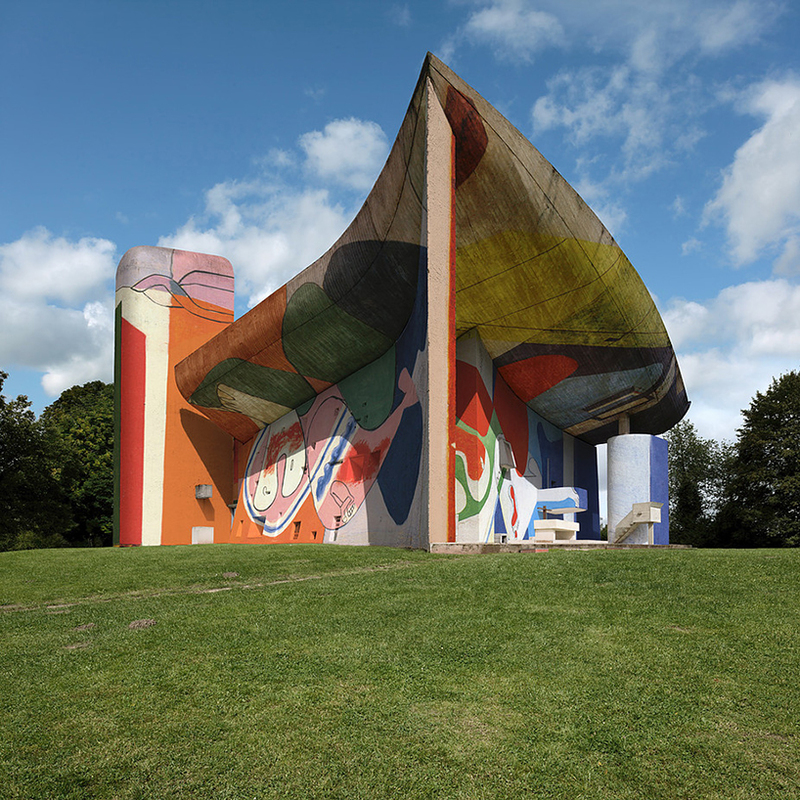 Actual murals made by architect Le Corbusier have been digitally added to the walls of one of his most famous buildings, transforming Notre Dame du Haut, added an array of colors to its complex curves. 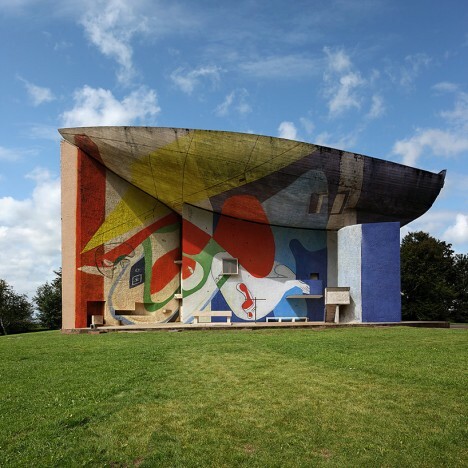 Architect Le Corbusier, who passed 50 years ago, remains famous for his rigid Modernist works, but for spiritual spaces he made an exception, shifting from a rule-based to an artistic approach. 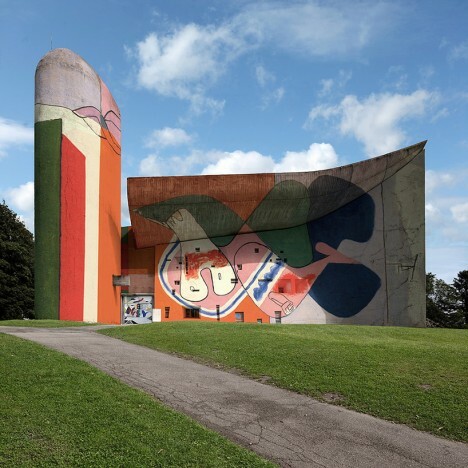 Still, the resulting structure was simply white and gray, devoid of color until these murals were introduced. 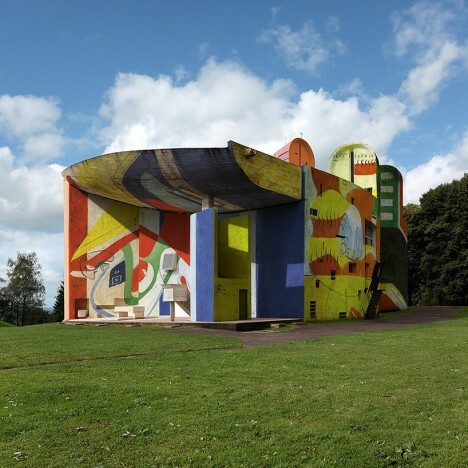 The thin-seeming walls are covered from the ground up, but so too are the thick swooping roofs that curve up and around, seeming almost to float above the sides. 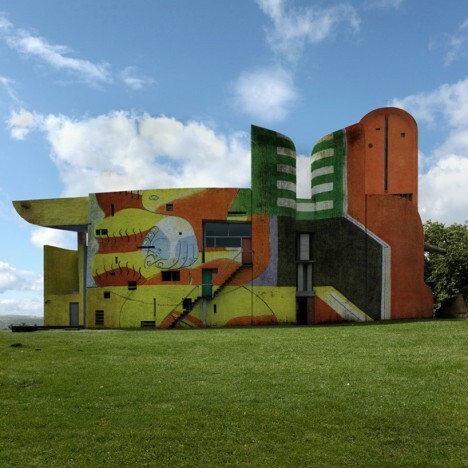 The fictional images were crafted by Belgian photographer Xavier Delory, who applied a set of artworks Corbu made for an architectural colleague. 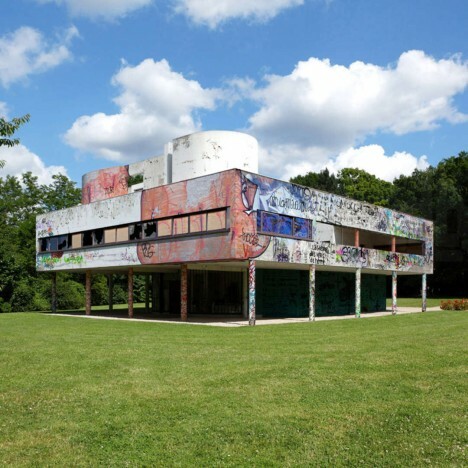 In a previous series, the same photographer re-imagined the Villa Savoye, another famous work by Corbu, sparking a series of fake stories suggesting the iconic house had actually been vandalized.